If you want to move your office or household items to a new premise in London, then you should surely try and search for professional movers from a good reputable moving company. Moving in London can be quite expensive, so it’s a good idea to do your research, ask your friends or family and find the best relocations company before taking any additional steps. It doesn’t matter if you are moving from an office or home, there are numerous man and van companies and removal firms in London that would be delighted to help you. But be wary as a lot of them aren’t what they seem. There are quite a few reasons to hire professional movers instead of doing it yourself, and in this article we will try to cover some basic tips to help you. Some people might not think this, but it’s actually true. Moving everything yourself requires time off from work, hiring a van, arranging friends to help (who don’t always turn up), organising refreshments for your friends, replacing damaged items or repairing damage to the house. There are additional expenses you may not have though, for example packaging material, fuel, parking suspensions, and an insurance excess on rented vehicles if a claim for damage is made. Some people even get hurt while moving large pieces of furniture. Professional movers will always be fully equipped with blackets, tool boxes and protective packaging materials so you won’t have to spend money buying anything. This basically means that hiring them will be more economical in the long run, and that is surely something worth bearing in mind. Never mind the fact when you friends move, you will probably be the first on their call list. Professional movers will be fully insured so in the unlikely event of any loss or damage occurring your items are protected. Hiring a professional moving firm like Active Moves with great values is surely the way to go if you want the relocation to be made in a timely fashion, and within the imposed schedule. Time is precious, and when under pressure, professional movers can relieve the stress to be out of a property by a specified time. Professionals will have a plan of action and get a floor plan from you before the move so they ensure to meet all dead lines and they will know exactly where everything goes the first time, relieving you of any pressure or the pain of having to move household items or boxes around yourself when they have left. It is always advisable to be present at the end of the move to do a walk around with the team leader to ensure all furniture has been placed where you specified. Let’s face it, for many people packing and moving is indeed a hassle. Instead of packing hundreds of items, you should be focused on sorting out all your utility company contracts, redirecting your mail, notify the DVLA, schools, religious organisations, notifing friends of your change of address, do a little sale on ebay or gumtree to get rid of unwanted items, charity store drops and arranging your new premise. Professional packers can pack and move your household items a lot safer and faster than you. 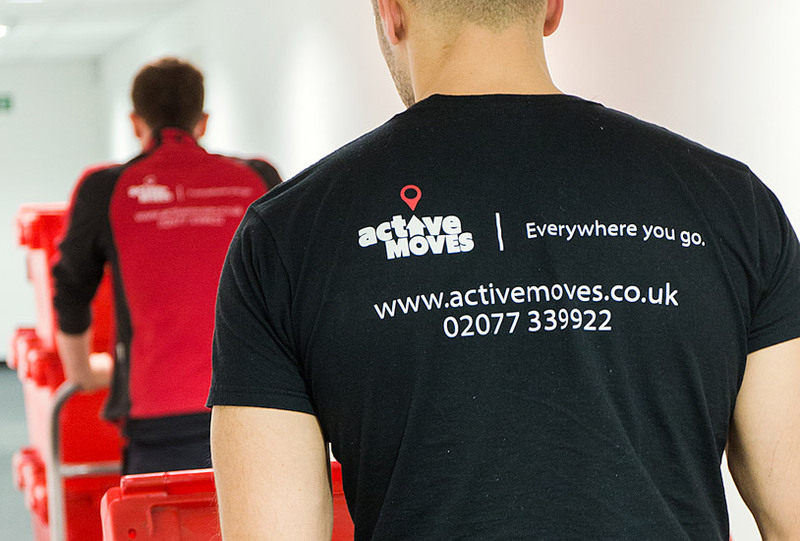 A good moving company like Active Moves will ensure your items are packed and moved safely so they get a good recommendation for future moves. So you can rest assured that they will take care of all your precious possessions. Also insurance only covers damaged items that are packed by the moving company. For peace of mind, the reasons above indicate the benefits of hiring professional movers. Keep in mind that you want to spend your time and money efficiently, and only by getting reputable and reliable movers you will do that when relocating.